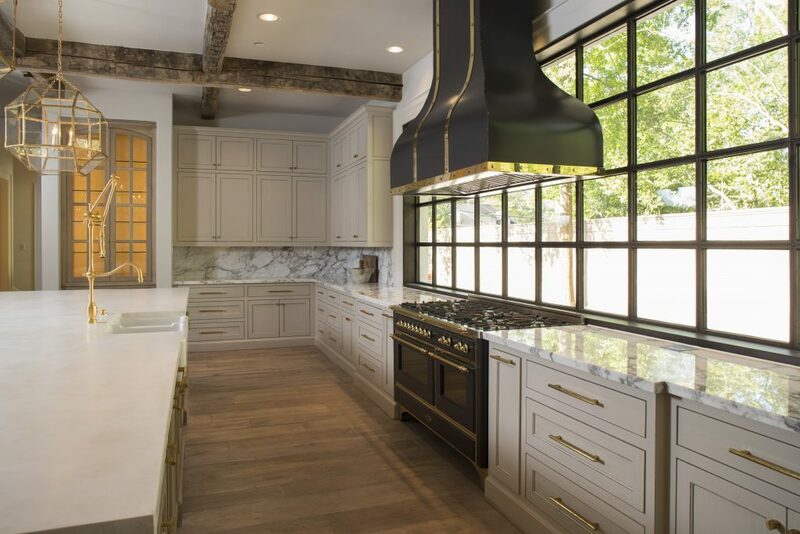 In downtown New Canaan, CT, Christine Donner Kitchen Design and Gatto Development Corporation finalized the last space of their 6 unit condo project – and they certainly saved the best for last. 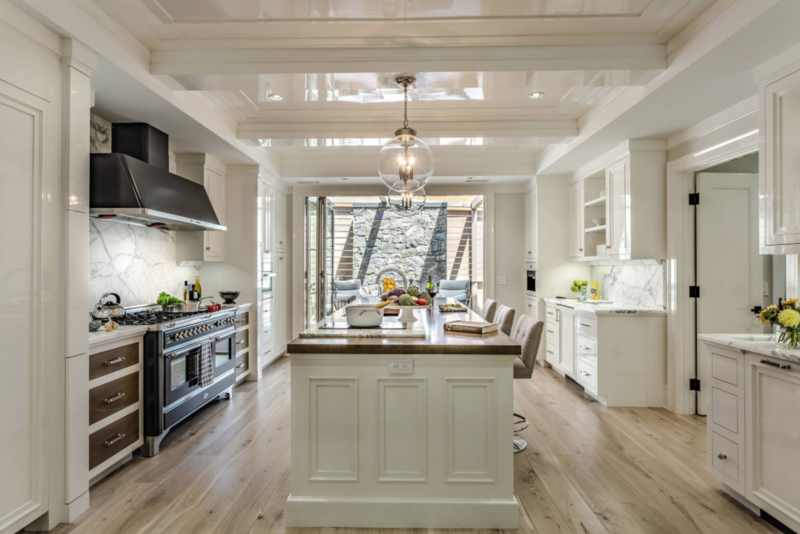 The condos are set in one of Connecticut’s most desirable towns. 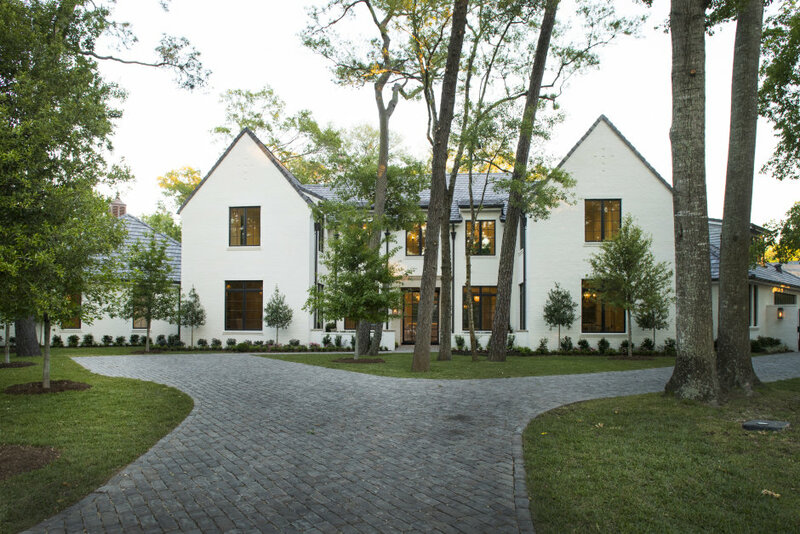 The appeal of a new construction in an affluent area had buyers so enamored by the homes that most sold before they were completed. 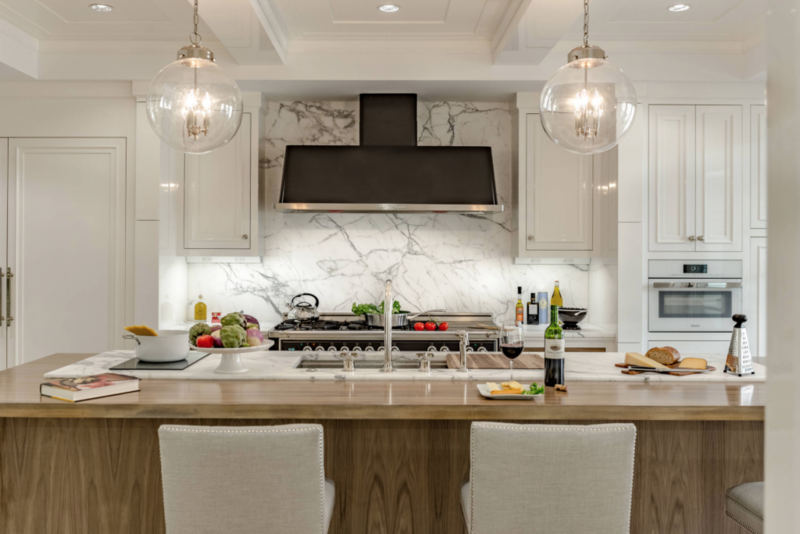 During the build of the last condo, however, the developer got to take his vision of superior high-end luxury to the very end. 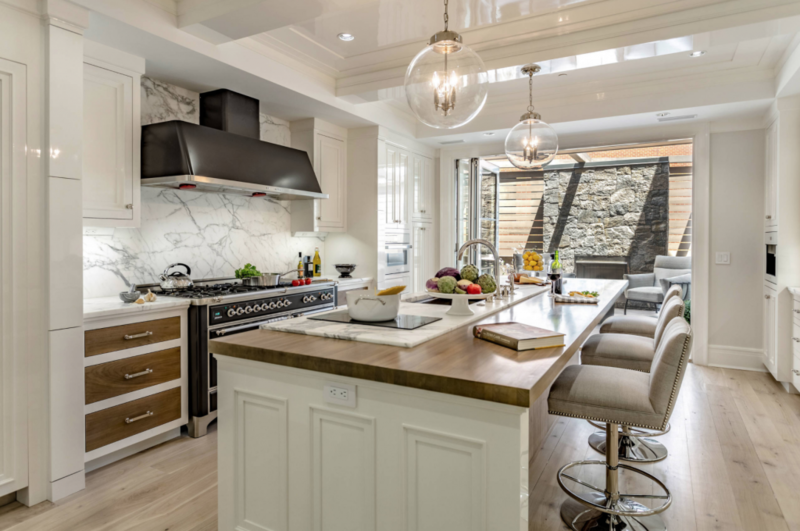 With a kitchen budget between $150,000-$200,000, this space was designed for serious cooking. 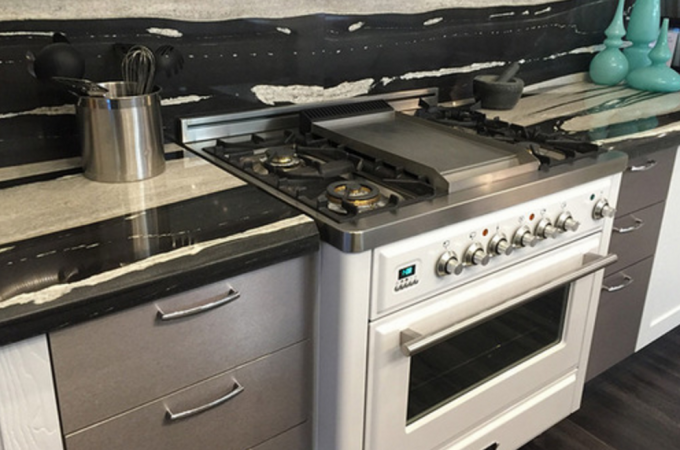 a 60″ ILVE Majestic Range in Matte Graphite with Chrome Trim was the “WOW” factor the pulled the entire design together. 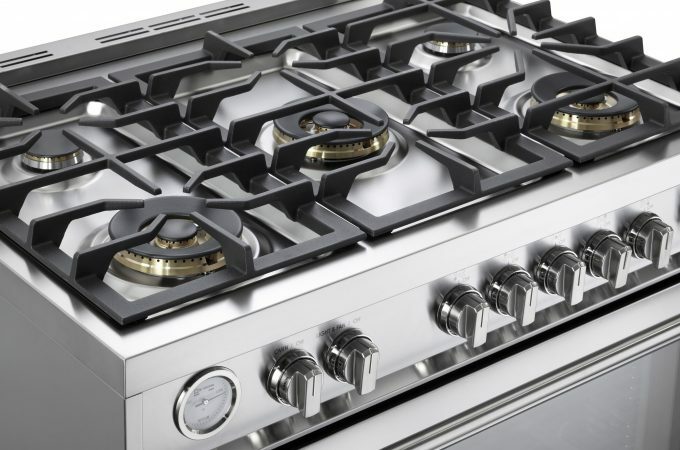 The ILVE Range was chosen for its next-level cooking abilities and large double ovens. 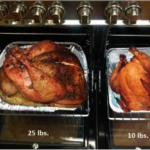 The French top and griddle cooktop configuration allows for more versatile cooking options, while the standard rotisserie tool cooks meats to perfection. The full length warming drawer keeps dishes at the perfect temperature until ready to serve. 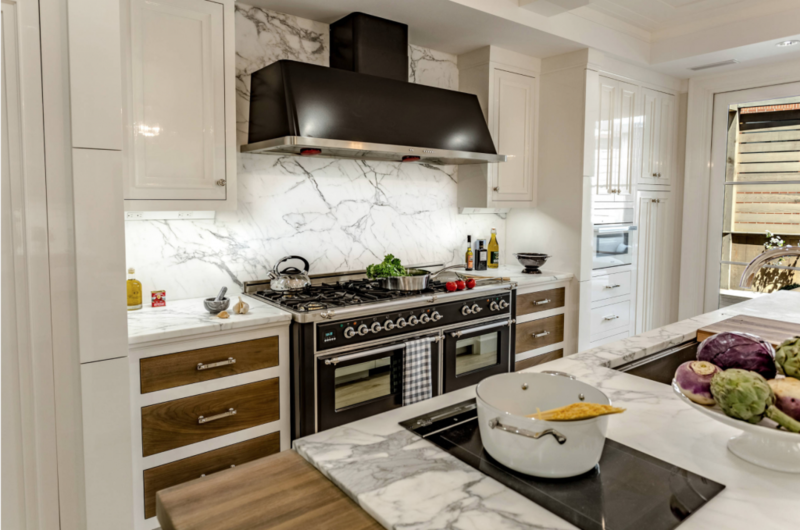 The team made sure no corners were cut, as the kitchen was also equipped with a coffee bar, an induction cooktop, steam oven and oversized sink. 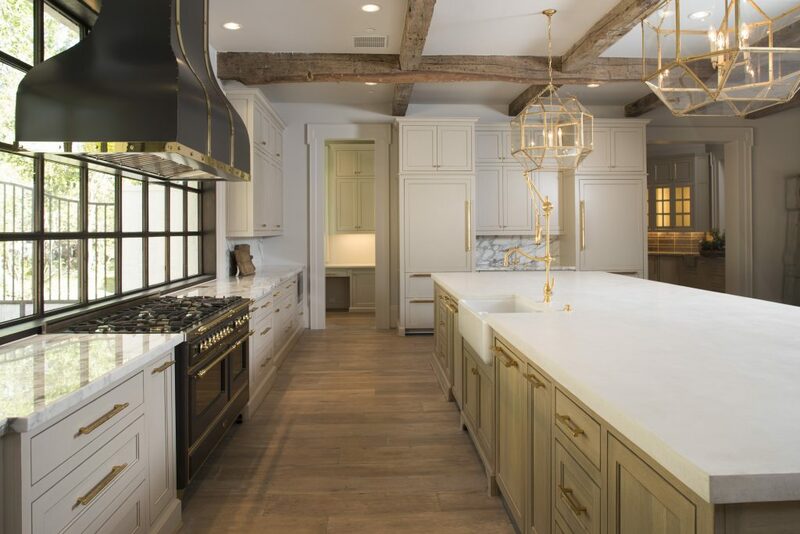 To complete the cool, yet elegant design, the kitchen features a large middle island, walnut drawer heads in white cabinets and a genuine calcutta gold marble counter top and back splash. Glass doors on the far side of the room fold back and open to a wrap around deck with outdoor sofas and a fireplace. All photography courtesy of Rhett Youngberg of Constellation Media. 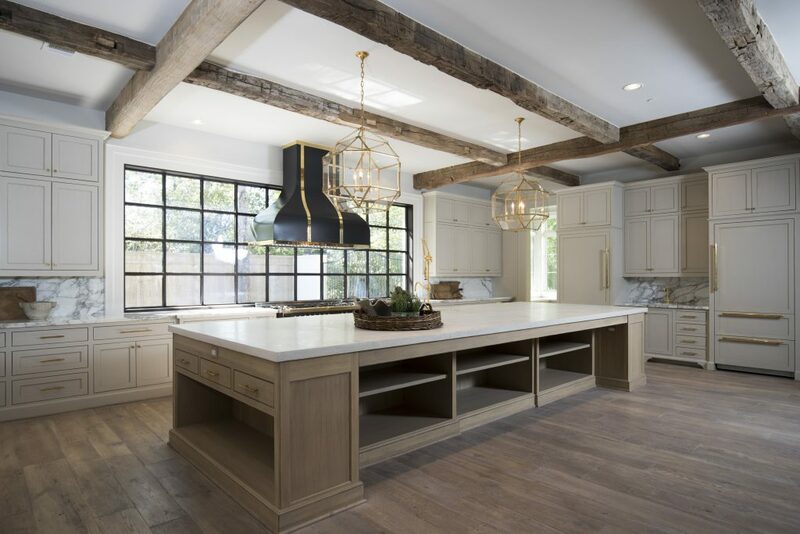 Thank you to Christine Donner and Chris Gatto for sharing their ILVE kitchen design!